The story behind this long-distance joint venture – initially discussed in 1989 – testifies in favor of the “better late than never” motto. It is also a demonstration of how akin individuals remain linked throughout a whole existence, even in absence of “normal” communication. When the right moment comes, a sound or a series of sounds attribute a perfect definition to anything that seemed confused or scarcely understandable until then. It’s the real magic of music – and not that which follows “rules”. The music we’re referring to dictates its own generous commandments to the self by way of morphing from a state to another, letting our innermost responsiveness decide what is really needed in “that” temporal fraction. Once and for all: everything except the interrelation between frequencies should be (dis)regarded as a cosmic pleonasm. Across the four sides of a double LP, a plethora of disparate sonic matters – mostly taking shape from O’Rourke’s Serge synth embedded in unspecified “audio environments” created by Klinger – removes the perennial frustration of a listener in constant need of variousness, pliability and depth. In a word, substance. 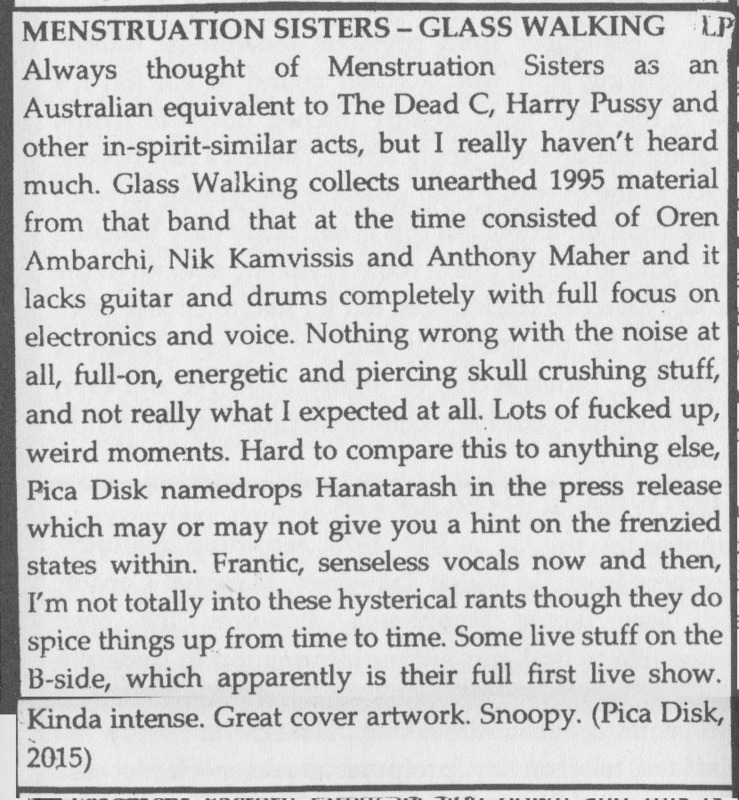 Exactly what is missing from the bulk of today’s pitifully arid electronica, by now reduced to a set of minimal-sounding stratagems for obtaining influential coverage and financial betterment. Instead, in a track such as “End Of The Landscape” – a mere sample of this record’s unassailability – the mix of analogue abstraction and piercing noise causes enlightenment rather than disorientation. It is so engrossing, listening to the raucousness of distortion and the harmonic qualities of a synthetic wave finding a common ground; one is led to believe that the entire world’s conflicts could be settled just by making silence and observing the inborn eccentricity of these psyche-enhancing propagations. In a truly serious soundscape, there’s always peace inside an apparent war. Countless excrescences and ramifications characterize this temperamental work, which seems to comprise all kinds of biotic (bionic?) forms, dynamic conditions and seemingly irrational juxtapositions. After having read the circumstances that ultimately generated this stunner, there’s no hesitation in calling Unidentified Again a symbol of persistence. In carrying on with a friendship in spite of diverging trajectories, in the avoidance of artistic commonplace, and – especially – in using consistent acoustic materials as a reinforcing nourishment against misleading examples and bogus values. 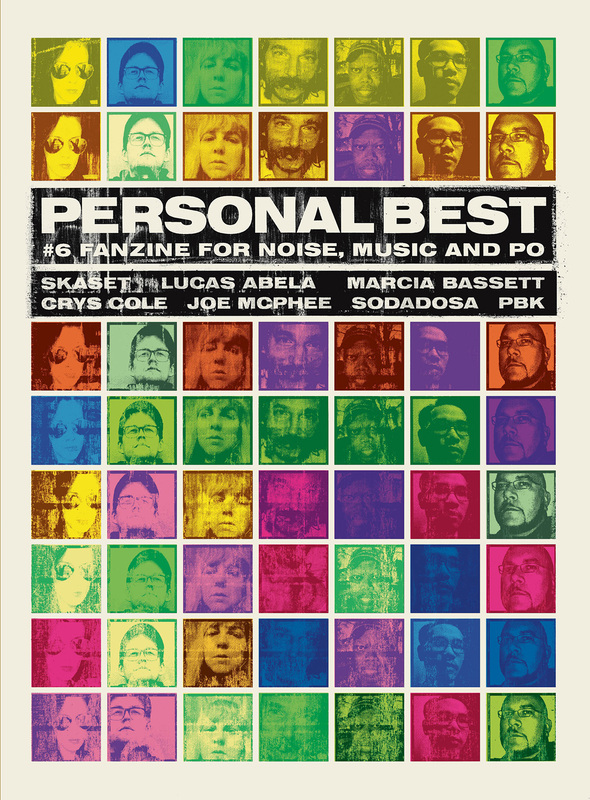 Personal Best #6 will be published in January 2016. You can pre-order now.